Tue., June 14, 2016, 6:34 p.m.
WASHINGTON – Hillary Clinton brought a close to the presidential primary season with a win Tuesday in the nation’s capital and a meeting with dispatched rival Bernie Sanders, hoping to set a tone of Democratic unity heading into next month’s party convention in Philadelphia. Clinton’s win in the District of Columbia, the final primary of 2016, had no bearing on her role as the presumptive nominee, but it nevertheless marked a transition in the lengthy primary fight between the two rivals. Before polls closed in Washington, Sanders vowed again to do all he can to prevent the presumptive Republican presidential nominee from reaching the White House – but he declined to endorse Clinton. The Vermont senator has said the private meeting will help him determine how committed Clinton will be to the policy issues he has staked out during his 13-month campaign. “Our goal must not be to allow politicians, Donald Trump or anyone else, to divide us,” Sanders said outside his Washington headquarters, telling reporters he will continue to “fight as hard as we can” to transform the Democratic Party. Sanders said he would push for new leadership in the Democratic National Committee – his campaign has sparred with Rep. Debbie Wasserman Schultz, the party’s chair – along with a progressive platform in the summer convention and electoral changes, such as primaries that allow independents to participate and the elimination of superdelegates. “We need major, major changes in the Democratic Party,” he said. Sanders was warmly received Tuesday by Senate Democrats at their weekly luncheon, where he offered an update about his campaign and some of the lessons he had learned during the past year. Lawmakers in attendance said Sanders did not indicate his future plans. Sen. Jon Tester, D-Mont., who leads the Senate Democrats’ campaign arm, said Sanders “absolutely will” support fellow Senate Democrats in the fall elections. “It was productive, it was good, it was vintage Bernie,” Tester said. Sanders met last week with President Barack Obama and Vice President Joe Biden, who both later endorsed Clinton, and signaled to Democrats that he hopes to play a constructive role in helping the party regain control of the Senate in the 2016 elections. The self-described democratic socialist says he will take his campaign to the convention in July and advocate for his policy issues in the platform while urging Democrats to be more inclusive of independents, young people and working-class voters, all of whom were pivotal in his victories in 22 states. But what that will look like still remains unclear, and Sanders has been soliciting advice from supporters on how he should take his campaign forward. The mass shooting at a nightclub in Orlando, Florida, has commanded the attention of both campaigns and prompted Democrats to point to Trump’s call for a temporary ban on Muslims entering the U.S., an issue they view as a key contrast in the general election. 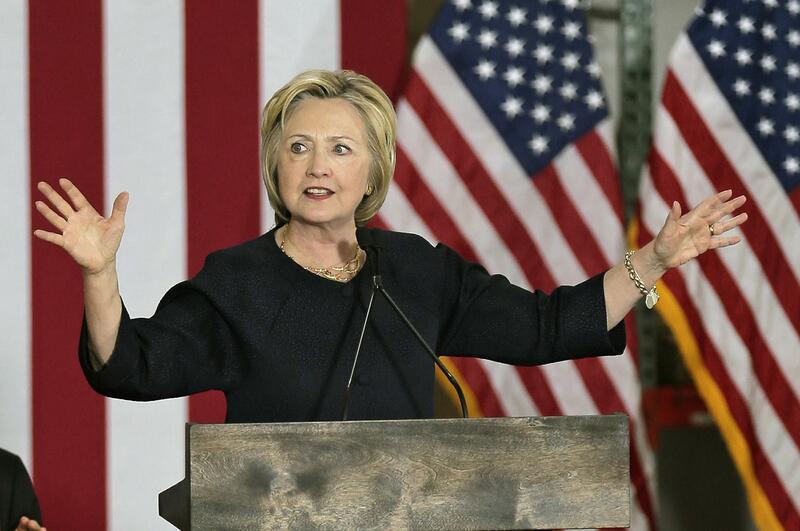 Without mentioning Trump by name, Clinton warned during a speech in Cleveland on Monday that demonizing Muslims would only empower extremist groups. “We should be intensifying contacts in those communities, not scapegoating or isolating them,” she said. Sanders attended a vigil in his hometown of Burlington, Vermont, on Monday night to show solidarity with the victims. Pointing to Trump’s comments about Muslims, Sanders said the shooting was conducted by “one hateful person” and not committed by the Muslim people. Published: June 14, 2016, 6:34 p.m.